Disney Epcot Food and Wine Festival celebration in starting on August 31st, will have 75 days of delicious event With 22 years of experience on this event every time is getting bettet offer of the gastronomic plates, and also on the upgrade experiences. Planning a Disney vacation package between August and November because the volume of turism decrease considerably, with Orlando Discount Tickets USA you can enjoy 4 days and 3 nights and visit Disney Epcot for 1 day for 2 people. The general admission to Disney Epcot allows you to enjoy the most of the festival Except some demostration, tasting and special chef’s seminars. The Disney Epcot has all the regular atttractions open plus demostrations of the typical dishes of different countries that you can get for an additional price. Get your budget defined because not only the souvenirs but, food, wine and others are a great tentations. Involve the kids on an events that might look for grown ups but not. Get for the children the passport notebook and inmerse then on an all senses experience along with you. The Disney Food and Wine Festival has a great plus with the series of concert, so before you go check on the calendar the artist of your preference and plan your visit. Visit as well with the kids the playground specially desing for relaxation and at the same time enterteiment for the litle ones. Why my 1 Day admission to Disney could be more expensive? A lot of surprise and discontent was communicated by the visitors when they find out that they would be paying more when traveling on certain days of the year. Well since March 2016 in Orlando and California and with the purpose of continue spreading the awareness of Disney Theme Park and as incentive to support the continues renovations, attractions and new performances Disney announced a different pricing structure on the 1 Day Admission Entrance for Disney. Base on the characterist of the season. The current price for a regular day admission in Disney is the $110.86 and caused great surprise not long ago when the announcement was made and the admission passed the $100 dollar per unit. The new Disney price structure works for the 1 day Disney Admission only and we have received notification that this will apply for other multidays tickets, Orlando Discount Tickets USA explains it to you: The year has 12 month and during each month will be categories of Value, Regular and peak days, so depends when the guest would like to visit the Theme Parks the price for 1- Day Disney might be the regular price, a cheaper price or higher price. Value Price 1 – Day Disney: If guest is comming on a day of the month that usually has a “low traffic” guest will be paying less that the price of a Day. The cost if $99 per adult. Regular Price 1 – Day Admission: It is the published market price of reference. The regular admission is $107. Peak Price 1 – Day Disney: If guest is coming during Holidays, or peak periods like spring break, summer, etc. The peak season price is $119 per person. On the Spring of 2017, the Tampa Bay locals and lovers nor only of Theme Parks but also the events that held on them should be ready to prepare your vacation packages or get the tickets at promotional price to enjoy Busch Gardens Food and Wine Festival. Recognized by the delicious and wilds flavors, live music and a great wine selection visitors enjoy the Busch Gardens attraction and get inmerse on different gastronomic delights. With Orlando Discount Tickets USA ticket promotion for only $25 dollars per person for the first 2 people you get already your pass for the festival because it does have extra cost, off course, excluding what you eat and you get the bonus admission to visit Seawolrd on Orlando for one day. Busch Gardens Food and Wine Festival will be celebrated every Saturday and Sunday starting on March 4th trought April 30th with hours of operation from 9am to 9pm. During teh event will be available signature dishesan a a sample size plate with prices between $5 and $8 dollars for food and $7 to 9 dollars for alcoholic beverages. For this exquisite event we recommend use Quick Pay to purchase your samples. Universal Studios Orlando during 2016 please their visitor with the new attraction King Kong The Skull Island and now is being announced “Race Through New York Starring Jimmy Fallon” but what is this about, well those Americans and TV watchers are most likely to be familoar with “The Tonigh Show””. “Race Through New York Starring Jimmy Fallon” will be the new addition to Universal Studios Orlando and Orlando Discount Tickets USA inform to yo the details. The attraction is much about the experience you can have if you run youe own show, as it happens at “The Tonight Show”you can play host at your own interactive Desk in Studio 6B Club, after this the action begins when you really board the world first-ever flying theater that acomodation 72 audience member you can visit the great city of New York. The new ride beside the metioned above is an scenario to step foot into renowed NBC Studios and be witness of the most significant momments in the history of NBC. Universal Studios Orlando recent transformation includes Harry Potter Diagon Alley at Universal Island of Adventure, Hogwarts Express, The reing of the King: Skull Island and now “Race Through New York Starring Jimmy Fallon”. All the new renovations and adittion to the Universal Studios and Island of Adventure are a great opportunity to visit both parks with a park to park admission for only $129 per person by participaring in one of our resort preview when you travel to Orlando. To enjoy the most of the fun of Universal Studios and Island of adventure explore with Orlando Discount Tickest USA, Universal vacation packages that starts at $219 dollars por package including 4 days 3 nights acomodattion and admission for 2 people for 2 days at Universal Studios and Island of Adventure Theme Park in Orlando. 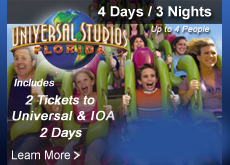 Explore www.orlandodisocuntticketsusa.com to find your next vacation deal for Orlando Florida. Planear una fantásticas vacaciones en Orlando no es complicado, sin embargo requiere un poco de paciencia e información útil para que realmente sean una vacaciones de ensueño. Orlando Florida como el destino mas visitado en el mundo gracias a sus múltiples opciones de Parques Temáticos puede llegar a ser un poco abrumador cuando se pretende hacer en una sola visita todas las opciones disponibles en el mercado del entretenimiento. Orlando Discount Tickets USA al recopilar su experiencia con visitantes de todas partes del mundo ha preparado para usted recomendaciones puntuales como punto de p[partida antes de comenzar su viaje hacia la tierra donde los sueños se hacen realidad. Una vez usted y su familia hayan clarificado los puntos a continuación lo invitamos a ser parte de los mejores precios del mercado en paquetes vacacionales y en entradas con descuentos a los parques temáticos de Orlando Florida. Fecha de Viaje: Vacaciones en cualquier momento del año es grandioso, sin embargo si usted tiene flexibilidad para viajas las mejores fechas en referencia a la tasa de ocupación de la ciudad y el numero de visitantes en los parques temáticos son finales mayo hasta la primera semana de junio, finales de agosto, comienzos del mes de octubre y las dos primeras semanas de Diciembre. Durante estos días las lineas de los parques tienen bajo tiempo de espera, el trafico vial es suave y las tasas hoteleras no tienen sobrecargo de temporada. Días de Viaje: Las actividades para hacer en los parques temáticos son innumerables, siempre y cuanto usted no tenga restricción en el numero de días que visitara Orlando usted necesitara al menos 1 semana ya que como mínimo cada parque requiere un día. Hotel, Villas, Casas: Cuando hablamos de flexibilidad la opción mas flexible durante estancia en Orlando es planear su paquete vacacional con acomodación en un Estudio o Villa de 1, 2 o 3 habitaciones en las cuales usted tiene la facilidad de prepare y almacenar alimentos. Si su grupo es de mas de 5 personas esta es la mejor opción en términos de dinero, logística y comodidad. Transporte aéreo o terrestre: Si se esta a una larga distancia de Orlando la mejor opción es reservar tiquetes de avión pero considerando rentar un auto en cuanto se llegue a Orlando, ciudad en la cual es sistema de transporte publico es lento, el transporte privado es costoso y las distancia son en general largas. El aeropuerto Internacional de Orlando esta aproximadamente a 20 millas de la zona de los parques temáticos y solo el transporte de ida y regreso desde allí puede resultar costoso. Que parque visitar: Porque las opciones son alrededor de 8, Magic Kingdom, Hollywood Studios, Epcot, Animal Kingdom, Universal Studios, Island of Adventure, Seaworld, Busch Gardens es importante predeterminar al menos cuales son los parques que con seguridad se visitaran y presupuestar un poco mas de presupuesto por una posible visita adicional a otro parque. Tipo de entradas: La filosofía general de los parques temáticos es reducir el precio promedio por día cuando se compran admisiones de múltiples días. Orlando Discount Tickets USA cuenta con tiquetes especiales que incluyen admisión que traen extra bonos y que pueden ser adquiridos con un descuento entre 30 y 50% a través de platica promocional de resort. 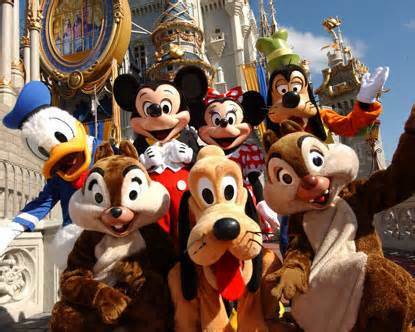 Comuníquese con Orlando Discount Tickets USA para reservar su paquete vacacional obteniendo excelentes descuentos en la propiedad de Disney o cerca a los parques temáticos de su interés. 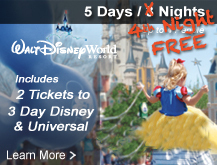 Visite www.orlandodiscountticketsusa.com para visualizar sus paquete vacacional a Orlando.